By now, most people following North Bay Village are familiar with the ongoing scandal at the Kennedy House. The allegations are that the management company conspired with board members to remove high end appliances from units being sold, replace them with cheaper appliances, and profit from the difference. 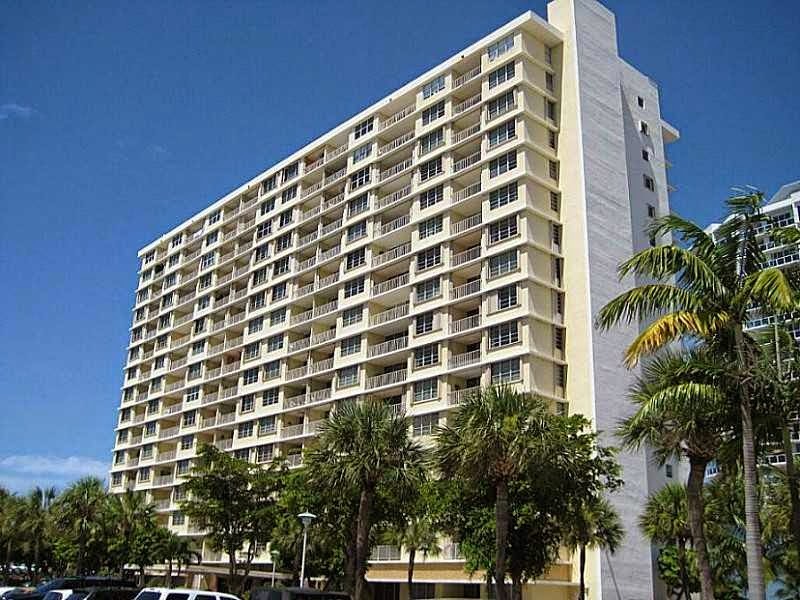 The crimes were first alleged by a group of homeowners in the building, where the selling unit owner had installed high end appliances but when the buyer came in, they found these had been swapped out. Police reports were made and it was generally expected that the investigations would result in some kind of a resolution. But it's North Bay Village. 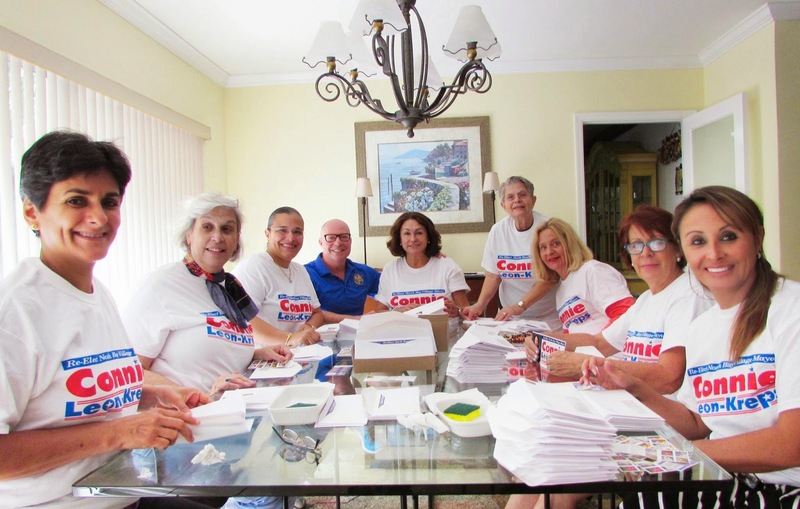 Connie Kreps was running for election. Mayor Kreps is a woman of high cunning, low intelligence and a well defined sense of grievance. Kreps believes herself to be an independent agent but as mayor, she is little more than an easily manipulated tool of the self interested crowd who profit from our village. Nowhere was this more apparent than in her campaign's decision to use the routine criminal investigation for property and economic crimes at the Kennedy House to trash her opponent and support her candidacy. 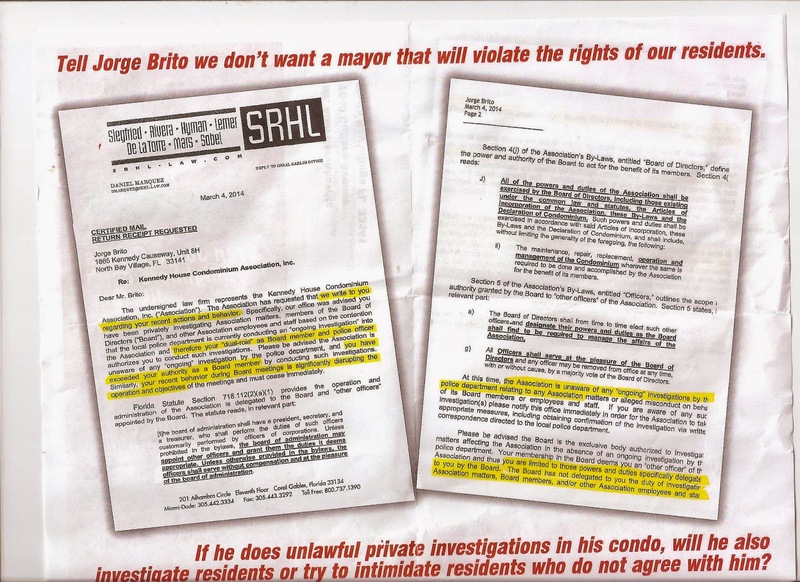 Her campaign supporters, through their Electioneering Campaign Organization supporters, sent out a nasty flier charging that Jorge Brito, her opponent, was disliked by the very people he as a homeowner in the Kennedy House, was investigating. He was. A homeowner and his neighbors who were looking to the village law enforcement to help them find out what happened in their homes are often not popular with the accused. "North Bay Village manager Frank Rollason told Local 10 that the poor way in which the Kennedy House cases were handled was one factor among others in his decision to fire Police Chief Robert Daniels last week"
So how does our Mayor tie in? Well during the campaign, an Electioneering Campaign Organization, funded by among others the Condo Hotel developers on the JFK Causeway, the developers for the other buildings, the real estate interests on Harbor Island, the village engineering firm, a current lobbyist, among others, put out this piece of trash to support Kreps' election. Here is a link to the contributors to Floridians For a Strong Future, High Minded Civic Thinkers they are. Mug Shot of Alejandra Saucedo Following the Arrests Last Friday. Working Together To Protect The "Right"
It's no secret that Chief Robert Daniels owed his position to Kreps. She led the group that ousted the Village Manager and the duly elected mayor of North Bay Village, has consistently supported even the sloppiest of police reporting, and actively coveted and won the union endorsement of the North Bay Village police, the same union that supported the installation of Robert Daniels. But by February, the negligence and inaction of the police department had become too much and the village manager fired Robert Daniels (after a six month fully paid notice period expires in July, then he gets three months severance and a year's health care). Rumor has it that the mayor is furious about this. She could not protect her supporters. There will be more to this story. I don't know how it will all work out. Arrests are not convictions. Links are not causes. But it paints an ugly picture of our North Bay Village leadership under Kreps. She should step down as Mayor before investigations are completed and the Governor has to remove her. 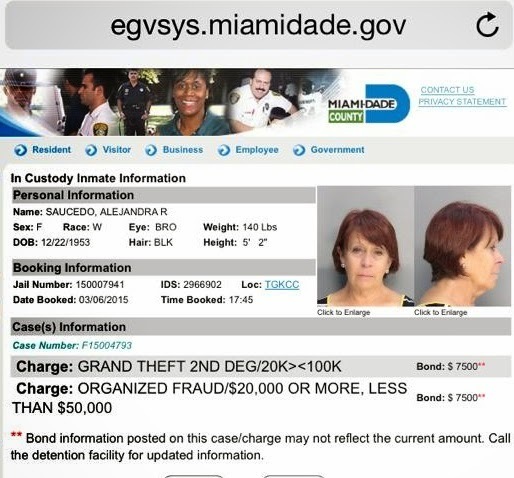 She has caused enough shame to North Bay Village. Kevin. ..time to update this story...more developments have occurred! ! As long as Miami Dade Commission on Ethics Legar Advisor Mike Murowski continues to mix his personal business with the responsibilities of his office, North Bay Village will continue to suffer these types of injustices. Murowski, a North Bay Village resident, is fully entrenched with the close circle of friends who control Mayor Kreps. In fact, in the last election Murowski worked as a volunteer at a poll site for Mayor Kreps in violation of standing policy at the Commission on Ethics. Furthermore, by engaging in a battle at his condominium over the listed illicit practices, Mr. Jorge Brito sacrificed his chances at becoming mayor. Now, the village is saddled with an incompetent politician "acting" as mayor but doing little for our citizens. Do not bother calling the Commission on Ethics or the State Attoeny's Office to solve our problem. The fix is in and we are paying the price. As long as Commission on Ethics Legal Advisor and Kreps supporter Mike Murowski resides in North Bay Village there is not much that can be done. Most of us watched in horror as Murowski worked as a volunteer at a precinct for Kreps in the last election. Murowski and by his extension Joe Centorino and Katherine Fernandez Rundle, are quite happy to keep the status quo at the village. Total corruption. All the time.